Religious organisations can play a vital role in developing the communities of South Africa. 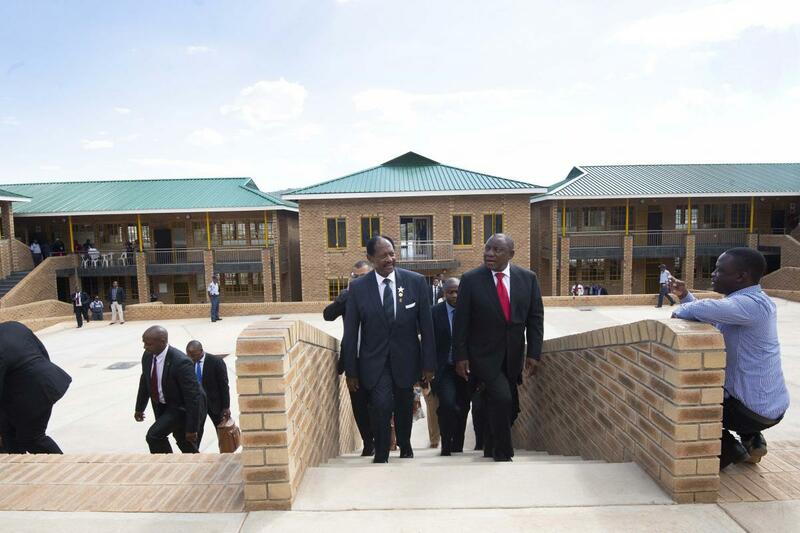 Speaking at the opening of Marobathota High School and Evelyn Lekganyane Clinic in Polokwane, Limpopo recently, the President said backlogs in public infrastructure impact negatively on children’s basic rights to a decent basic education and to health, safety and dignity within educational facilities. “They impact on the right of our people to access health- care services and in the most severe cases, on their right to life and dignity. The refurbished and extended facilities of the Marobathota High School and Evelyn Lekganyane Clinic were funded by the Zion Christian Church, led by Bishop Barnabas Lekganyane. “The work that has been undertaken here at Marobathota High School forms part of a broader national effort to build a positive school environment. President Ramaphosa said government is committed to using schools as vehicles for promoting access to a range of public services among learners in areas such as health, poverty alleviation, psychosocial support, sport and culture. ''We need to work together as school communities to end the scourge of violence in our schools. He thanked faith-based leaders for their role in addressing some of the challenges schools face.